This combination banner & sign is double-sided and easily accommodates flexible banner materials or rigid signs up to 6 mm thick. 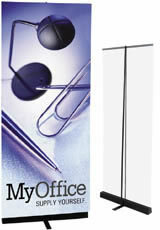 14" base supports displays to 90" in height. Comes complete with 2 sets of 24" banner rods. 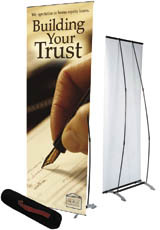 This spring-back, single-sided banner stand works well in any environment. The stylish, state-of-the-art appearance gives your presentation a unique look and its high-tech, slim-line design adds an element of excitement to any corporate lobby. The Ark has a graphic visual area 31" wide by 86" high. Comes complete with its own carrying bag and protective tube. Ideal for large point-of-purchase or point-of-sale presentations, Rola's basic design and roller banner technology combine to make it the extremely cost-effective solution you need when multiple display units are required. The Rolla has a graphic visual area 29" wide by 78" high. Comes standard in a packing box, without carrying bag. The perfect stand for wide angle banners. 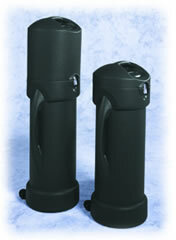 Telescoping horizontal and vertical rods accommodate a wide range of sizes. 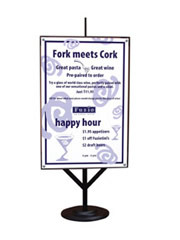 These sturdy, black steel frames support double-faced sidewalk signs, available in two sizes. Slide-in 3/8" channels make it simple to setup and change. Heavy duty construction requires no drilling or screws. 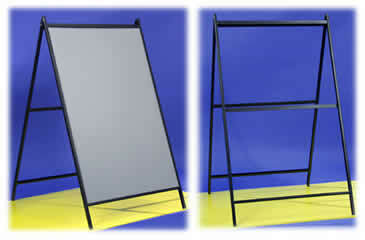 These tough, heavy-duty plastic A-frames provide the most durable hi-impact outdoor display. Setup yours to be lightweight or heavy. Sign blanks attach easily. Three colors available: white, orange, and yellow. 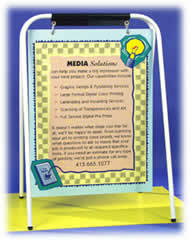 Available in a rainbow of colors, these sleek steel frames work equally well with rigid signs or banners. 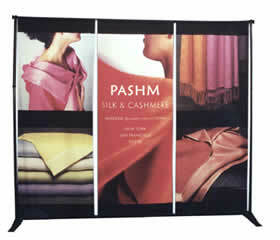 They support a display area 40" high x 30" wide. Folds flat for easy storage and shipping. Available in white, red, black, blue, and yellow. 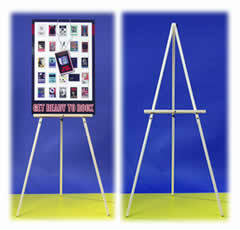 This lightweight wooden easel provides an economical alternative for meetings, lobby signage, and poster displays. Ships unassembled. Heavy-duty steel frame and base. For outdoor use. 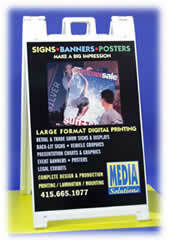 Heavy-duty molded Graphics Cases are the ideal solution for shipping large-format graphics. Two handles and integrated wheels make transportation easy. The ample 14" diameter is ideal for safely storing and shipping rolled graphics. Our Graphics Cases are made of heavy-duty hardware and high density polyethylene construction and are virtually indestructible. 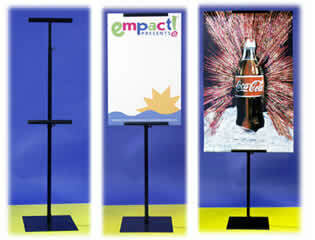 Interior Size: 14" x 39.5"
Exterior Size: 16" x 44"
Interior Size: 14" x 50.75"
Exterior Size: 16" x 55"